I know I mentioned last week how much I love the blog I heart PGH, well they’ve done it again! I totally missed this article in the NY Times about the reawakening of East Liberty. Reading this brought a little tear to my Pittsburgh loving eye…enjoy! I know my good friend A.Sam.H. 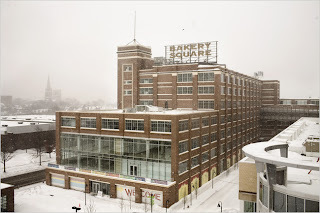 is gonna love this Bakery Square mention.